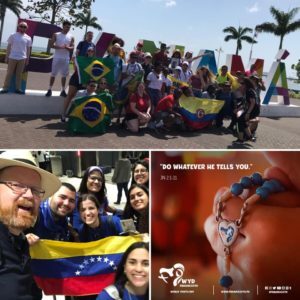 Every three years, young Catholics from all over the world gather together to celebrate World Youth Day – and this year, Panama was lit up in the spirit of faith, prayer, and an overwhelming joy. 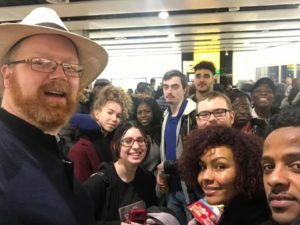 Fr Alan Neville and the MSC Vocations team travelled to Panama to join this year’s celebrations, and even the intense heat and early starts couldn’t dampen their enthusiasm! 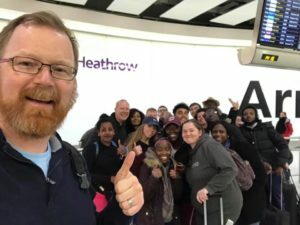 A 2.30am start for their flight to Panama on January 18th was no deterrent to these early birds, and on the first day of the event, they met with fellow pilgrims from Venezuela, Poland, and the USA. 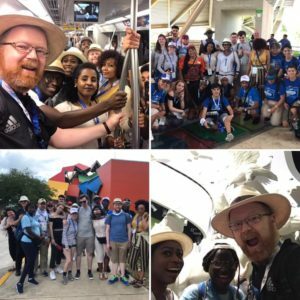 This was the perfect chance to explore Panama City, and Day 2 offered the opportunity to visit the BioMuseo, where our MSC team met with a group of pilgrims from Guatemala along the way. 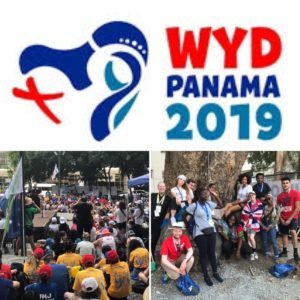 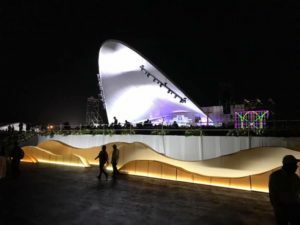 January 22nd marked the official opening of World Youth Day 2019, and what an event it was! 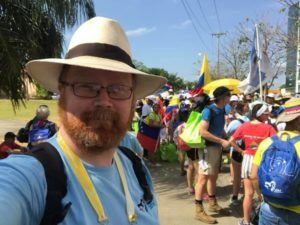 Prayer, music, good food, and new friends made for a day to remember in the Panama sunshine. 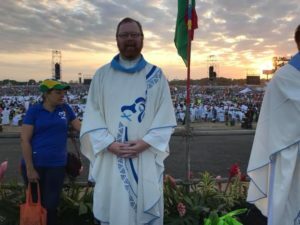 January 26th saw the MSC team join pilgrims from over 140 countries at the St John Paul II Park for the Vigil Mass, while the following day demanded a 5.00am alarm clock ahead of the Papal Mass at 8.10am. 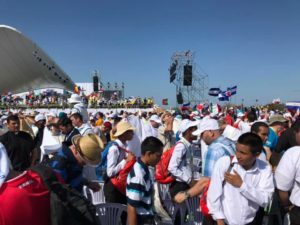 In a beautiful Mass, Pope Francis spoke of the necessity of building bridges rather than walls, and said that although the celebrations were coming to an end, the fruit of World Youth Day continues in parish and communities around the world as pilgrims make their way home. 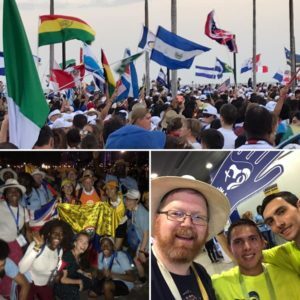 Cardinal Farrell also announced that plans for the next World Youth Day celebrations are already well underway, due to take place in Lisbon in 2022.
take a look at these posts from Rio de Janeiro in 2013 and Krakow in 2016.